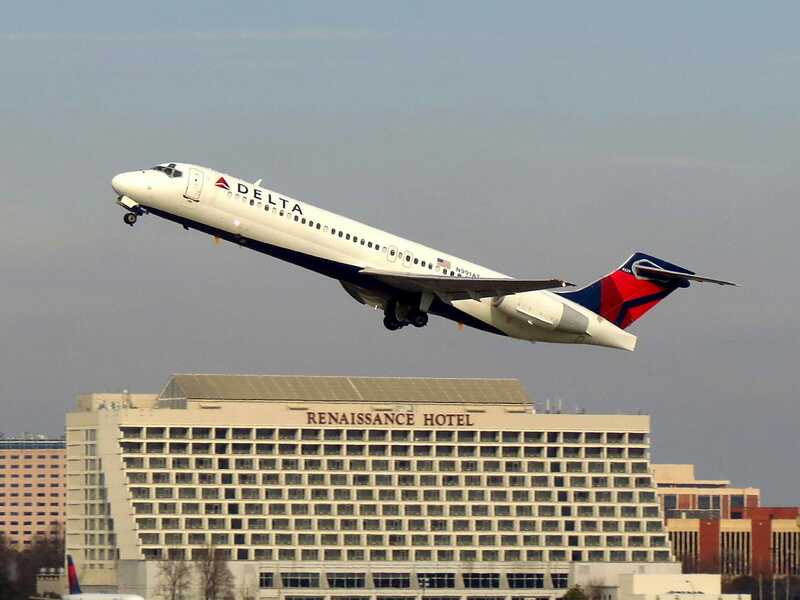 The Boeing 717 was once a failed plane airlines didn't want to buy. Here's why it's now my favourite jet. 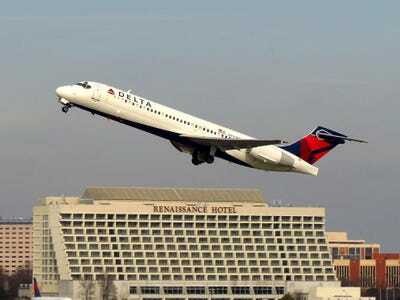 The Boeing717 is a slightly offbeat aircraft that went out of production in 2006. 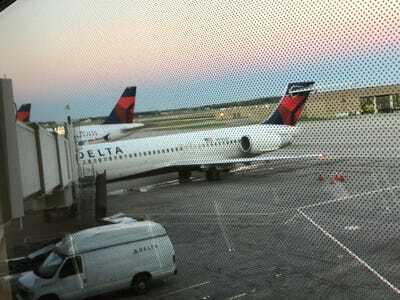 I recently flew on a Delta Air Lines Boeing 717 from Newark to Detroit. It was my second time flying on this great aircraft. 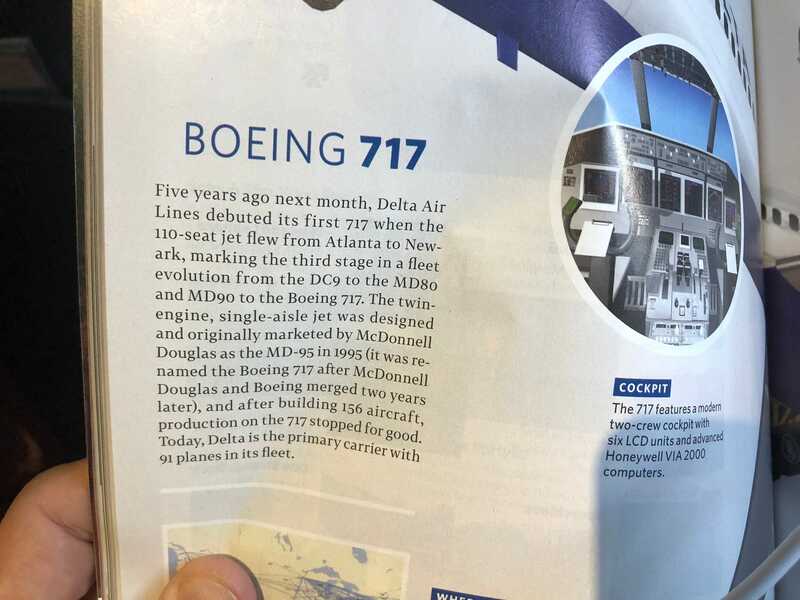 But until recently, I’d never set foot on a Boeing 717, a smaller aircraft that Boeing inherited when it bought McDonnell Douglas in 1995 for $US13 billion. I tend to like private jets, tolerate regional turboprops, richly enjoy big wide-bodies – and dislike the narrow-bodies that do most of the grunt work of hauling passengers around the US on domestic routes these days such as the Boeing 737 and the Airbus A320. The 717-200, in Delta livery, that I boarded once again this week for a flight to Detroit from Newark, New Jersey, wasn’t a mystery – but it has been last year when I flew the aircraft for the first time. Back then, I wasn’t sure what I was strapping myself into. I had forgotten to quiz Business Insider resident aviation authority, Senior Reporter Ben Zhang, before my flight. 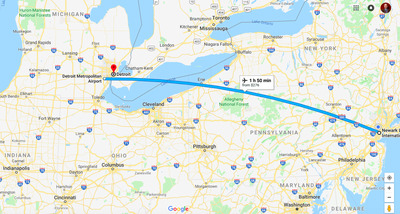 Read more: I just got back from the 2019 Detroit auto show – here’s all the cool stuff I saw. 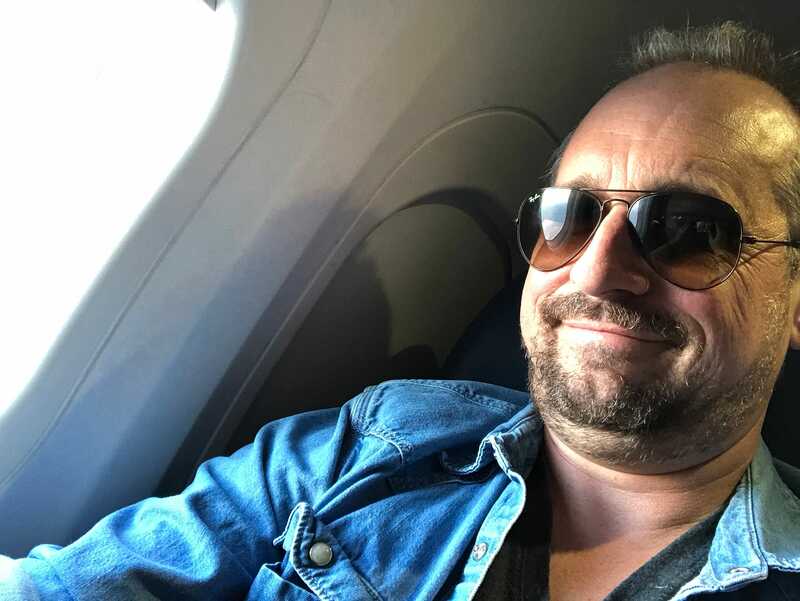 But I figured out quickly what I was dealing with – and then settled back to enjoy the ride, which was unexpectedly thrilling. 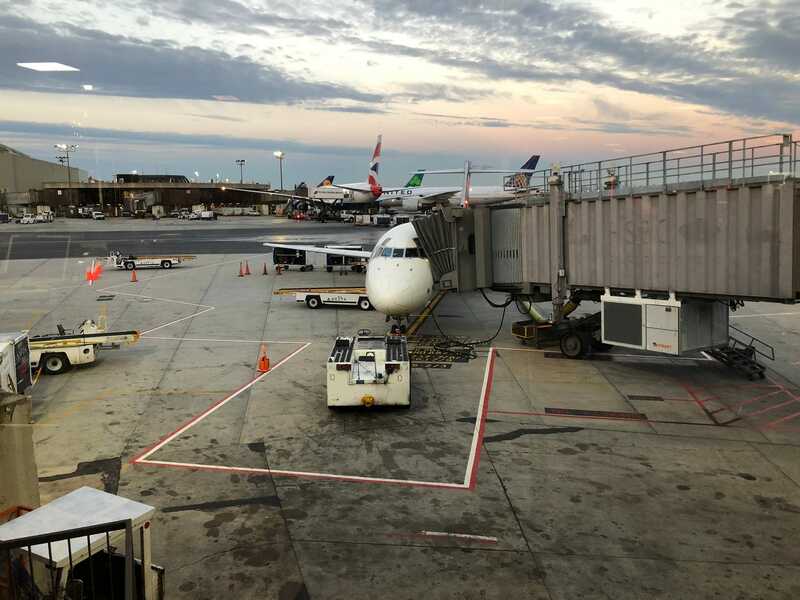 As you might imagine, I was thrilled that my plane was once again a Boeing 717-200. 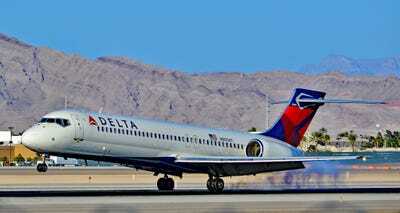 The Boeing 717-200 is actually a rebranded McDonnell Douglas MD-95. Boeing acquired McDonnell in 1995 for $US13 billion. “What is this plane?” I asked myself last year. Fortunately, the Delta in-flight magazine had a two-page spread describing the 717. 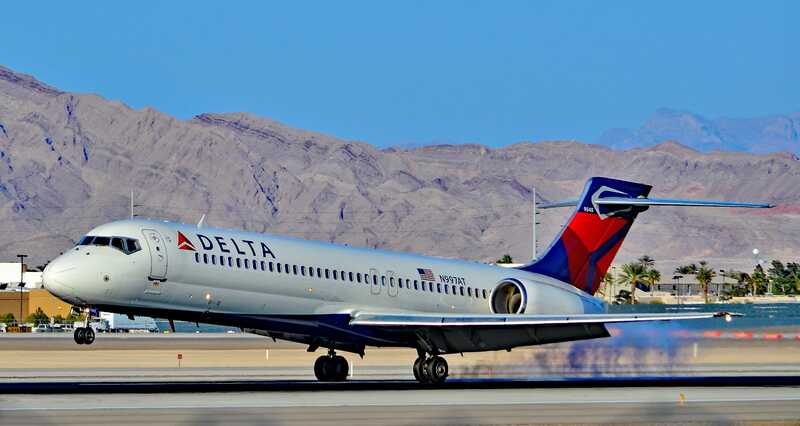 The gripping story of how the MD-95 became the 717 was recounting in all its glorious detail. 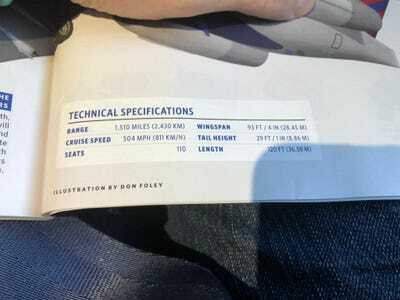 We even got tech specs, for all the plane geeks out there. Delta is the 717’s largest operator with 91 of the planes in its fleet. Of those 91, 88 are former AirTran Airways planes leased from Southwest Airlines. AirTran was acquired by Southwest in 2011. Caveat: I’m not a tall person. 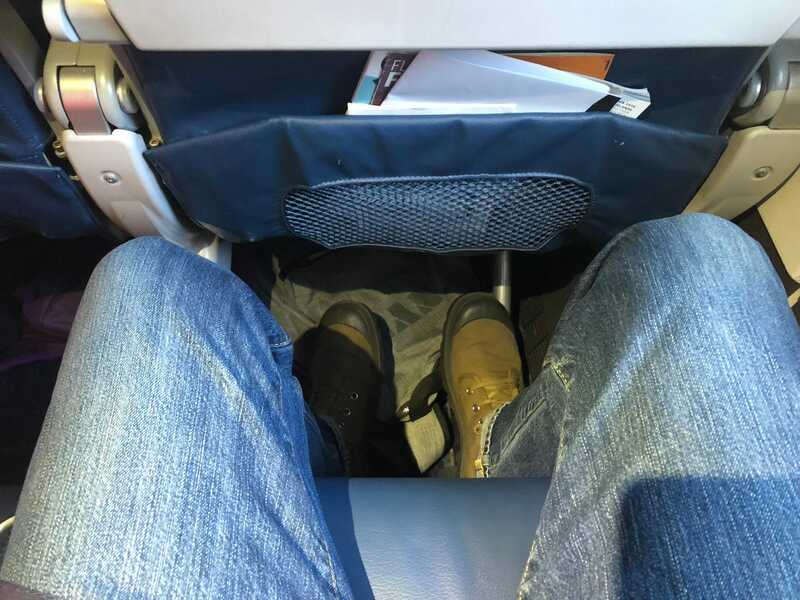 At 5-foot-7, most airline seats are comfy for me. The seats in coach are 18 inches wide with a 31-inch pitch. 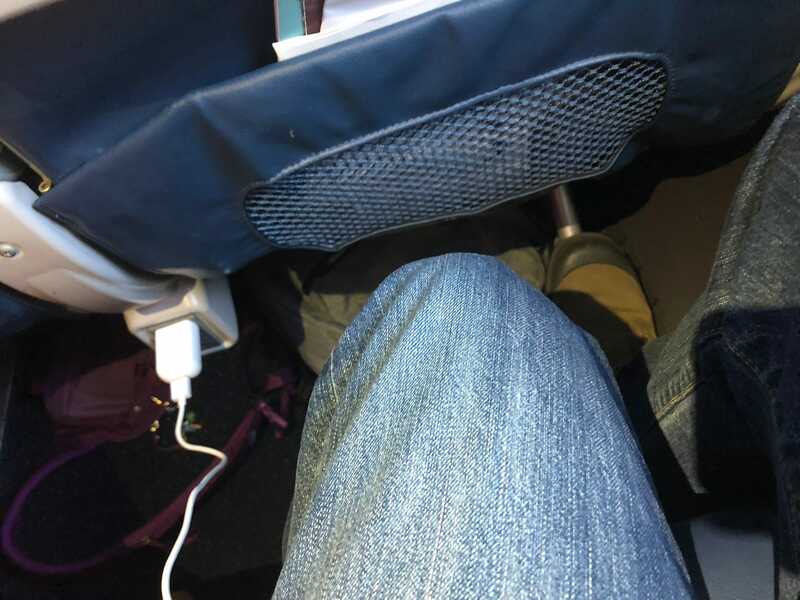 There’s an outlet for each seat, as well as a USB port. Now there’s just one teensy drawback, and if you’re going to frequently fly 717’s, then you best to be aware of it. You’ll notice that the fuselage-mounted engines partly obscure the rearmost windows. I learned this the hard way last year. A Rolls-Royce BR700 turbofan, making over 14,000 pounds of thrust, was my copilot. 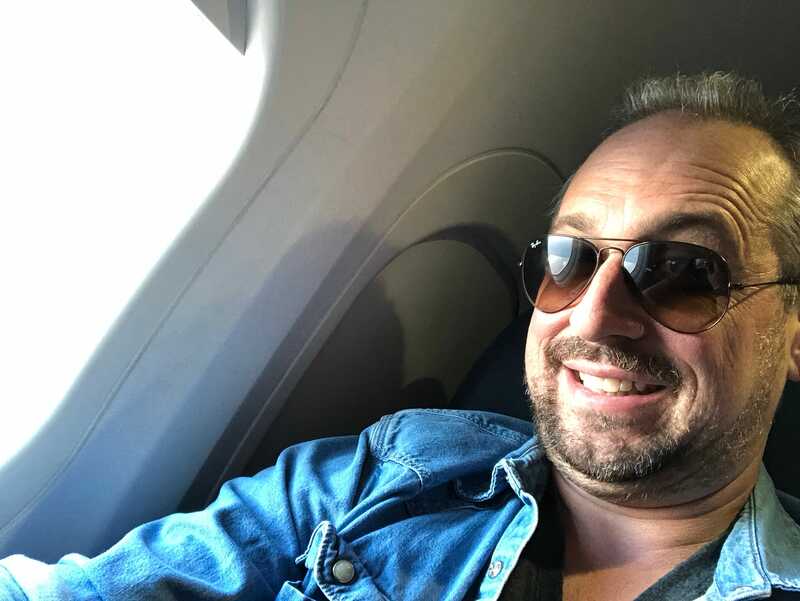 It sounded cool when it spooled up for take-off — one of the coolest takeoffs I’ve recently enjoyed — but sitting next to it for a few hours sent me diving into my bag for some noise-cancelling earbuds. 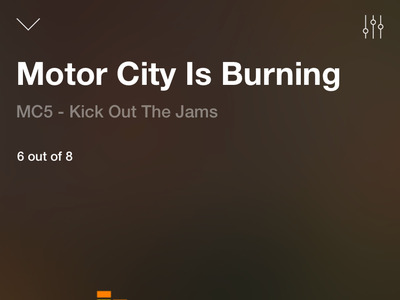 I fought noise with noise — Motor City noise! 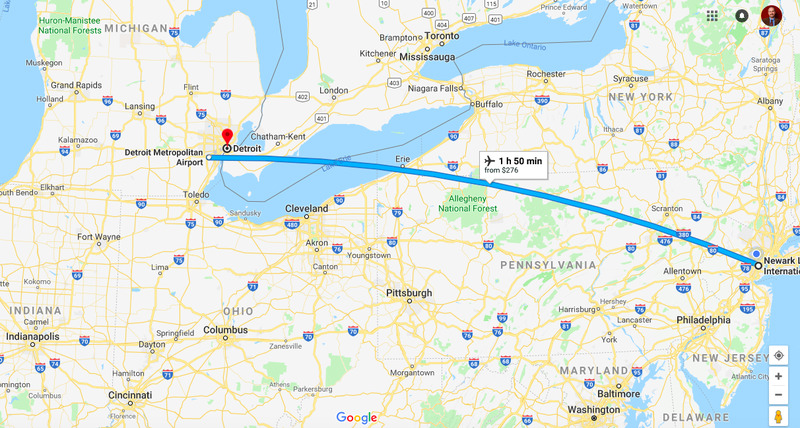 The flight from Newark Liberty to Detroit Metro was less than two hours. 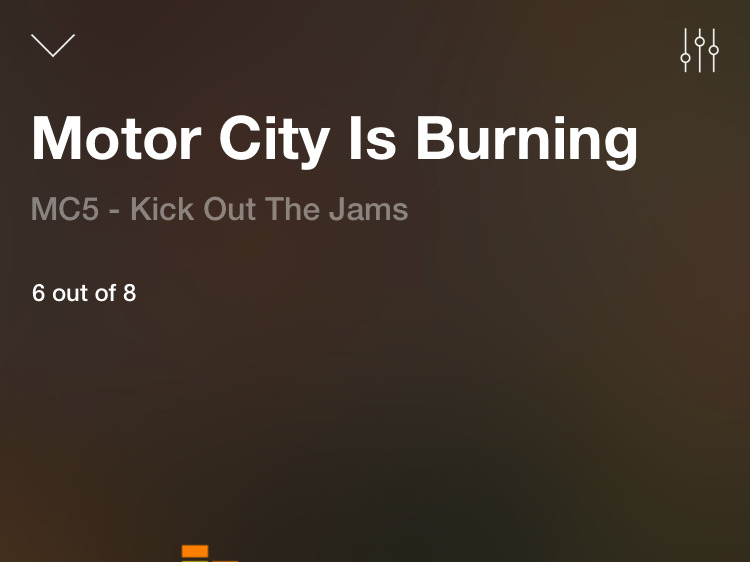 So I didn’t have to listen to a symphony of jet roar mixed with proto-punk thrash for terribly long. 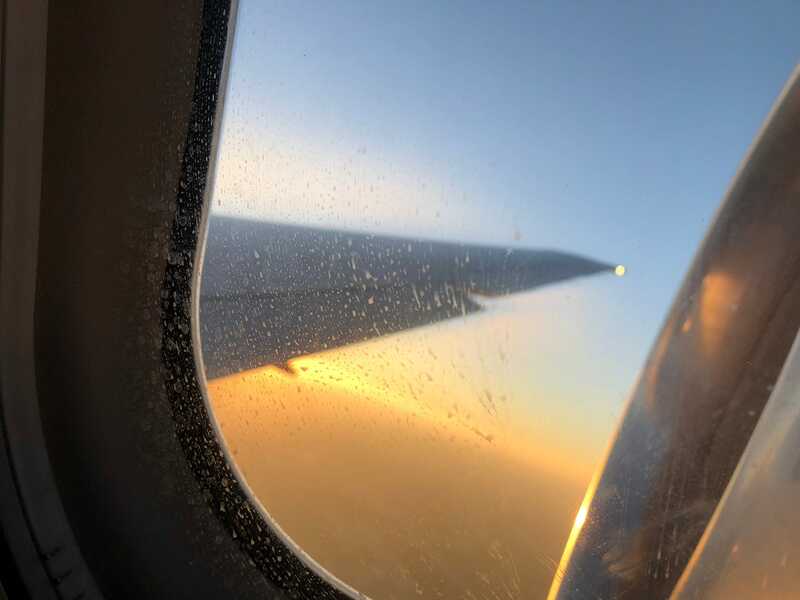 We glided into Detroit at sunset. I was a happy Boeing 717 passenger! See ya later, 717. 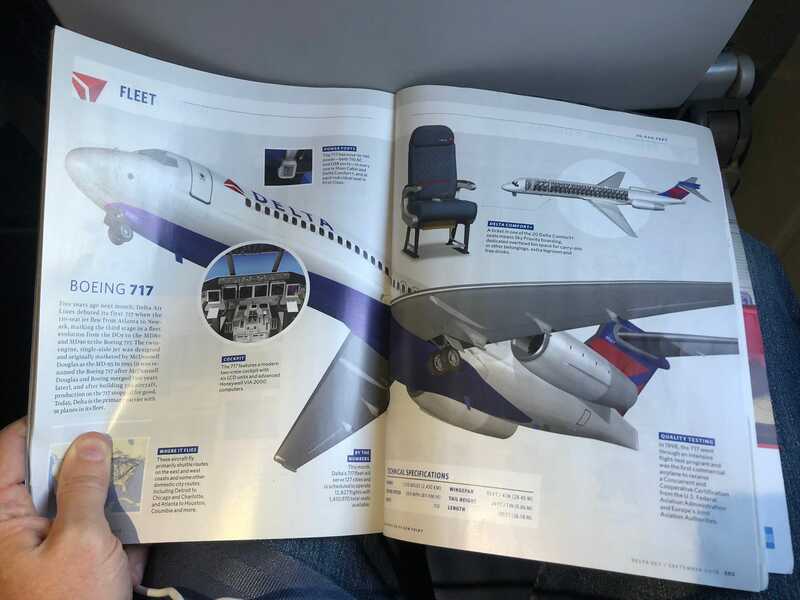 So why did I like the aircraft so much? 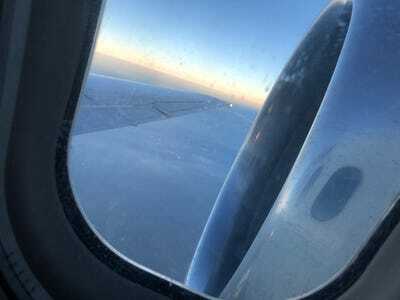 You already know about the thrilling takeoff whine as the engines went to full power. But what really got me was the sports-car-like nature of how the jet handled in the sky. 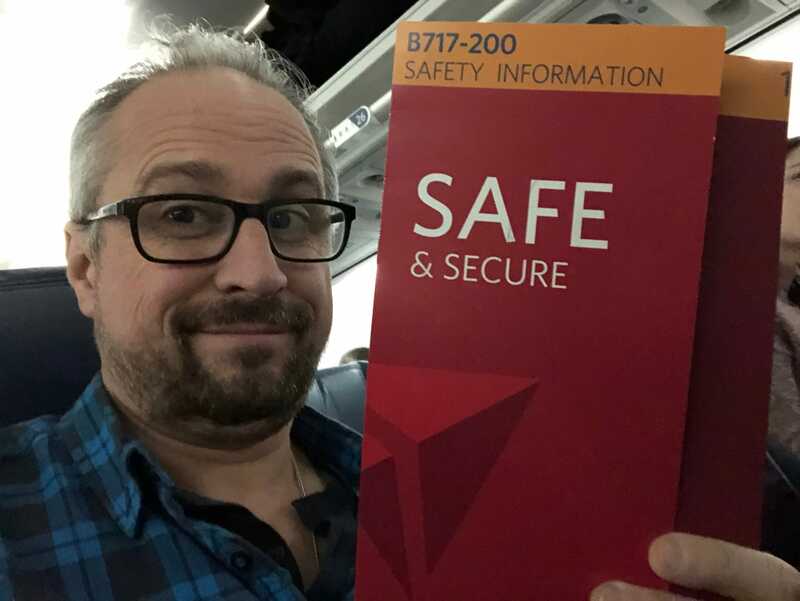 I’ve flown on many regional jets as well as on midsize narrow-bodies and wide-bodies. I’ve flown on big Boeings and big Airbuses. And I’ve sampled a few private jets. 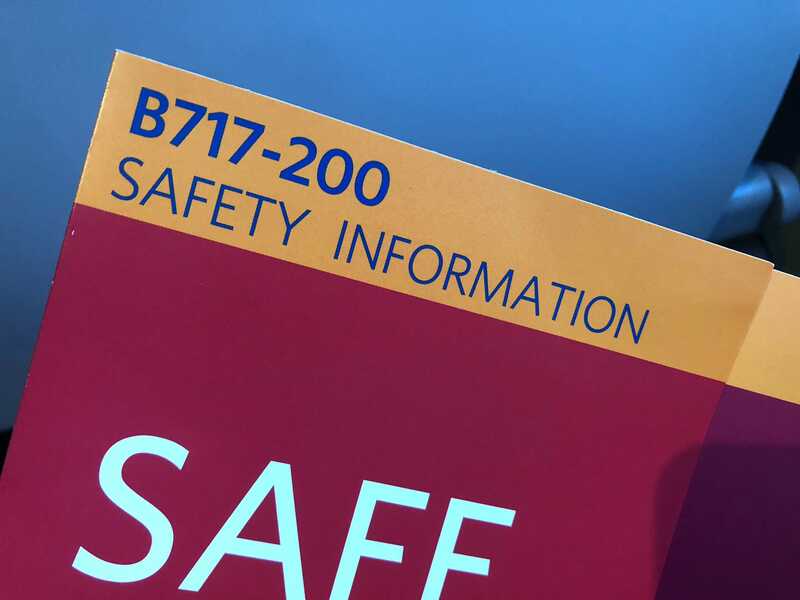 In most cases, when I’ve sensed the pilot was having a good time, it was on private wings – and now, the 717. 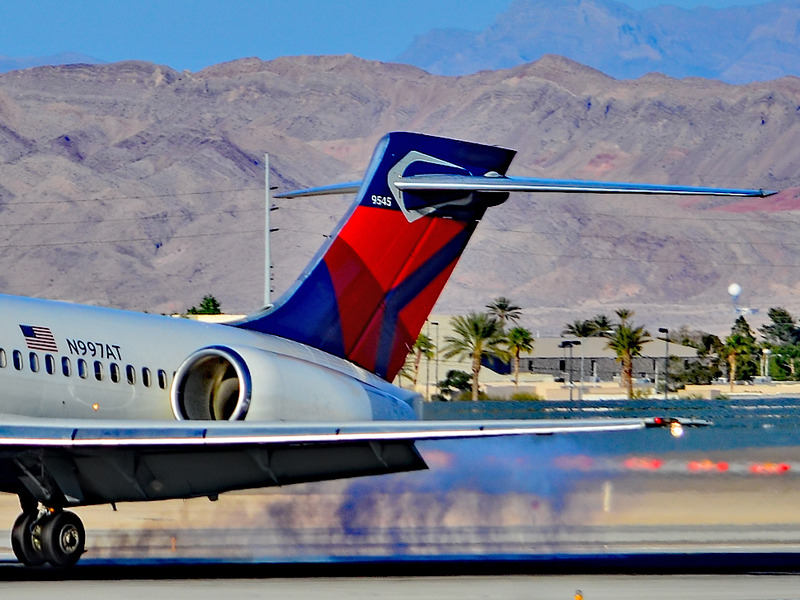 The 717 seems to carve the sky. But unlike older planes of its design that I flew on when I was much younger, updated avionics and construction make for a smoother ride. If you’re a larger adult who needs some space, you might not care for this aircraft. 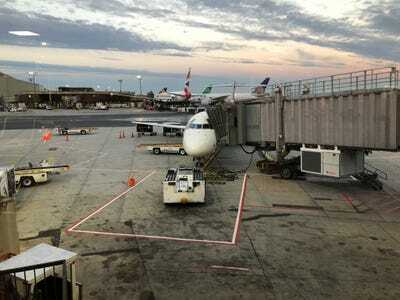 But if you aren’t, and you like to feel something when you’re flying, the 717 could be a plane you look forward to. And guess what? On my most recent jaunt to Motown, for the 2019 Detroit auto show, the 717 was waiting for me ion the tarmac. Good to be back, old friend!